Flat participated in the Image of the Studio exhibition at the Herb Lubalin Center of Design and Typography. For our portrait, we created a never-ending scroll experience. 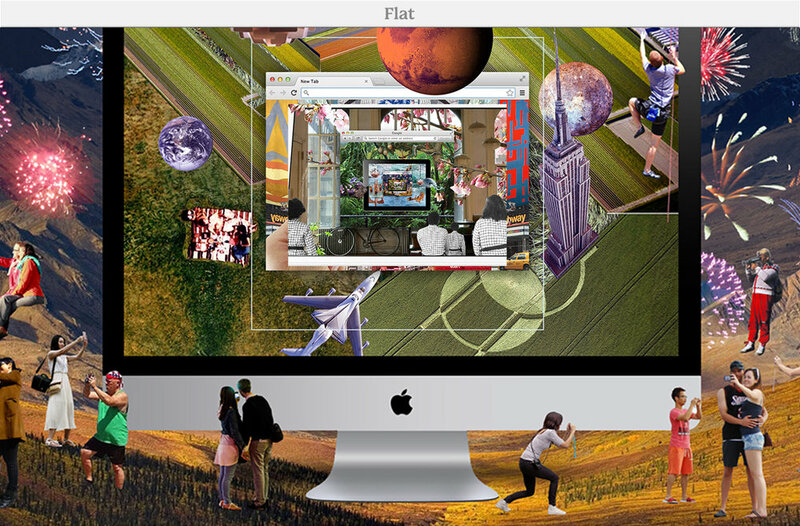 Frames overlap into each other, creating one large collage of art, architecture, technology, locations and pop culture as a representative series of combinatory inspirations and influences on the studio.